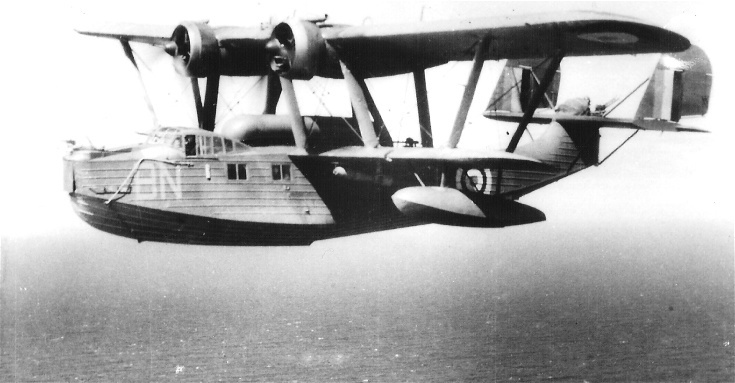 At the outbreak of war, 240 Squadron moved to Invergordon along with their Saro London flying boats. The London was quite antiquated by this time. Just aft of the cockpit is a housing for a torpedo. Although torpedoes were not used by Londons, they were able to deliver torpedoes to torpedo-bomber units which needed re-supplying. The first wartime casualty occurred on 4th November 1939 when London 'R' failed to return. Whether this was due to enemy action or mechanical failure was never established. On 17th November 1939, another London crashed at sea, but the crew were rescued and landed at Methil by HMS Imperial. While visiting the Roskeen Cemetery in May, 2006, I happened to photograph the grave marker or RCAF Sergeant Pilot Roy Robert Wright. On checking "They Shall Not Grow Old" a memorial book listing the 18,000 Canadians killed while serving, RAF, RAAF and RNZAF airmen who died while training in Canada and Canadian airman who had been prisoners of war. Sergeant Wright, age 19 of Hamilton, Ontario, was killed on September 12, 1941 when London flying boat K5319 (4OTU) stalled and bounced on landing and crashed into the sea off Invergordon. No other casualties were reported. I was wondering whether the large housing immediately behind the cockpit is in fact an auxiliary fuel tank rather than a torpedo housing. I have read that the extra fuel tank was fitted to increase the range. Graeme is correct. The item is an overload fuel tank that was added to only ten London MkIIs in 1939 to increase their range.